The Best of the Best awards recognize today’s most innovative and best performing applications produced with Xerox digital production printing technology by members of the Xerox Premier Partners Global Network of top Xerox customers. 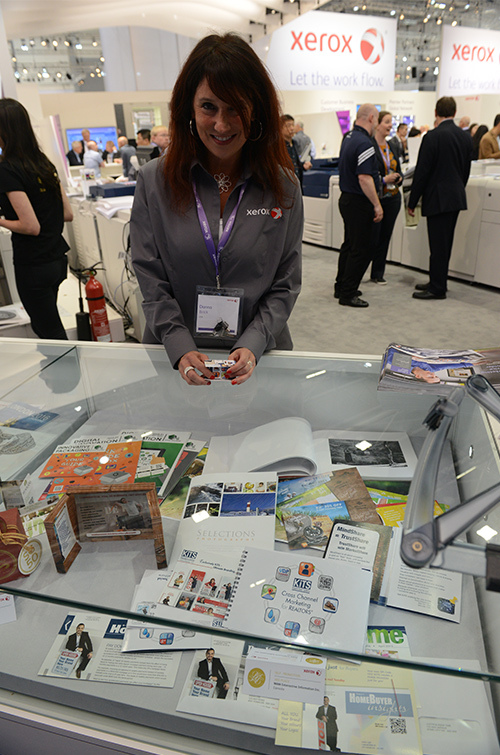 JUNE 1, 2016 – DÜSSELDORF, GERMANY, Xerox Premier Partners Global Premier Network at drupa 2016: Richmond Hill, ON based, WAM Interactive Information Inc’s - KiTS Keep-in-Touch System awarded The Best of the Best, Top 3 Globally, for Self-Promotion. Judged by an international panel of experts, KiTS is recognized as an industry leader, bringing together the power of Variable Data Publishing, and award winning creative expertise, in the development of innovative self-promotion campaigns for Sales Professionals. “For years, our clients have recognized us as marketing leaders. And now, Xerox, who knows a thing or two about leading-edge digital print, has confirmed it too. This global recognition for the work we do is terrific and gratifying,” said David Greenspan, Vice President at WAM Interactive Information Inc. KiTS is a powerful Cross Channel Marketing Suite that transforms traditional Career Sales Force marketing from “one size fits all” to highly personalized communications that engages each recipient, while being consistent with the overarching brand. The KiTS Keep-in-Touch System extends self-promotion campaigns through embracing Direct Mail + “e” + Social Media, to deliver branded, personalized, cross platform messaging and content. “It’s a great win that recognizes the category we target for our clients – Self Promotion, through innovative Keep-in-Touch,” concluded Greenspan. WAM Interactive Information Inc. the overarching company of KiTS is a one-stop shop for 1:1 communications in digital and print media, conceiving and executing variable data marketing campaigns that gain traction.